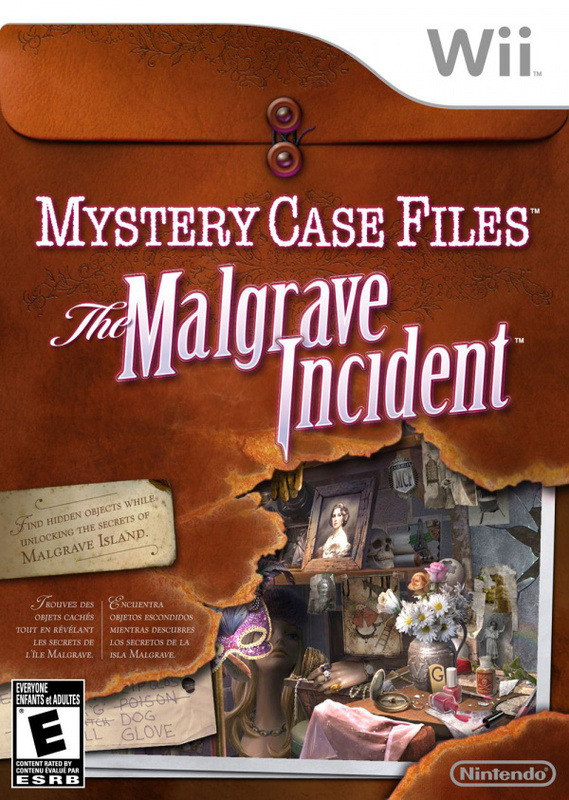 When Nintendo announced Mystery Case Files: The Malgrave Incident as one of the only Wii titles it planned to publish for the quarter it set itself the lofty task of creating a hidden object puzzle-based game on which the Big N could feel proud to put its name. 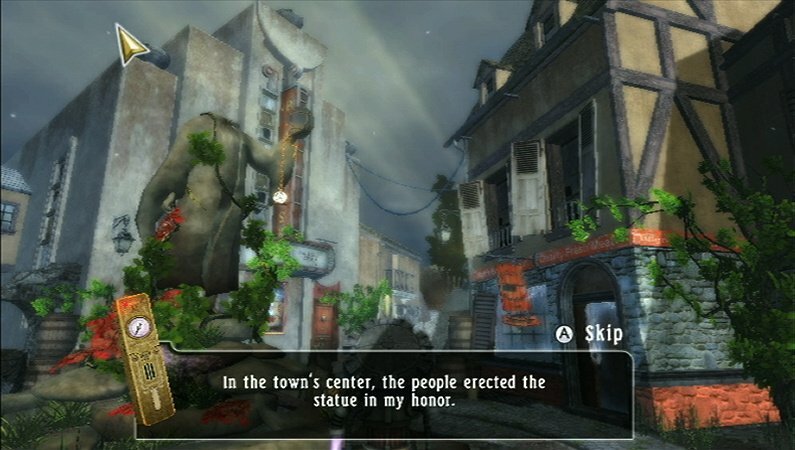 If such a release fails to stand out in quality, it amounts to yet average casual title, the type of which we've seen the non-gamer friendly Wii overloaded with during its lifespan. Thankfully, Big Fish Games has largely pulled it off, but is this the perfect puzzler or does its full potential remain a hidden object? You find yourself hired by the clandestine Winston Malgrave to venture around his island seeking and collecting a glowing purple dust and sending it his way via a series of scattered mechanisms. Somehow, he says, this will save his beloved Sarah, but for the majority you're left in the dark, the true nature of the proceedings hinted at only by the mysterious engine cryptically displayed whenever you send a batch of powder, powering on one light at a time accompanied by a very ominous string sample. All in all it's not a perfect plot, but it accomplishes the essential goal at which so many seek-and-find stories fail – it feels tied to the action and compels you to move forward and learn more, rather than seeming completely extraneous to the gameplay. The title is split between seeking-and-finding – searching, as in the I Spy book series, for a list of objects hidden within a cluttered menagerie – and journeying throughout the island between pre-rendered spots while solving puzzles, adding objects to your inventory and finding the right places at which to use them. 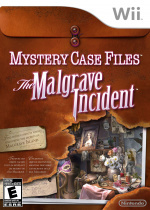 You'll also acquire one such item for each completed hidden object segment. 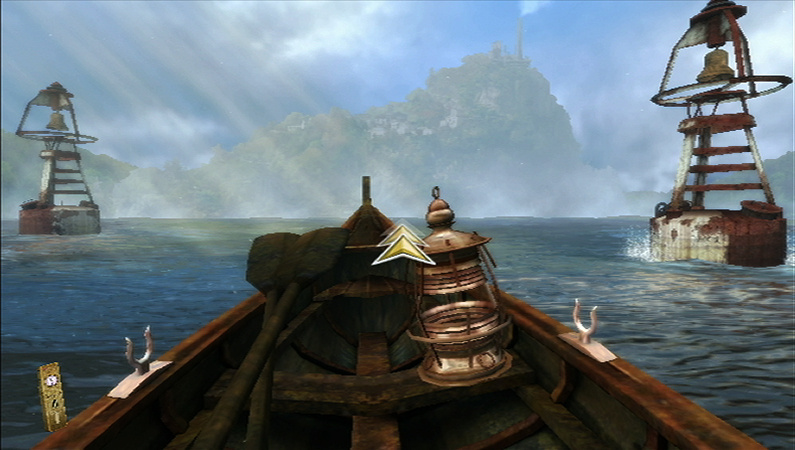 The adventure portion is largely competent and presents some challenging and creatively designed logic tests along the way, but only about half of the inventory-based puzzles that you encounter require a satisfying level of lateral thinking, while the rest amount to no more than placing a horseshoe you've acquired into a horseshoe-shaped hole in a locked door or some such task. It's not always a walk in the park, but don't expect your higher faculties to suffer too much stress. On top of that, it turns out that exploring a deserted civilization isn't always terribly entertaining. Adventure games by nature require a lot of backtracking, but you might find yourself growing weary of going from one unpopulated room to the next. Still, the setting is largely interesting and fun to explore, except the tedious and repetitive Maize Maze, and it helps that you can instantly travel between one spot to the next by clicking it on the map. The seek-and-find segments themselves, however, are as good as it gets. There's a great balance between simple- and difficult-to-find objects in each, and all of the more challenging items feel cleverly concealed instead of unfairly hidden away. You can see them at three levels of zoom, and the objects are spread over a few separate depths, your perspective slightly changing as you scroll about, revealing and concealing items in the back layers. These portions are where the title really shines, and they're everything that an entry in this subgenre should be. The game's biggest detriment, however, is that the adventure forces you to return to previous hidden object puzzles multiple times. Though you're given a largely new object list, having to look at something old rather than explore something new and often search again for some of the same items that you found the first time stifles the flow and makes proceedings feel sadly more stale and less interesting. You can play the main quest alone or with up to three friends who enter to lend a hand whenever a seek-and-find segment pops up. There's also a multiplayer mode that lets you compete to see who can find the most objects, who can find a specific item the fastest or who can win in two variations on Hot Potato. There's quite a bit of fun to be had here, and the snappy presentation keeps things exciting. You're also allowed to vary the time limit or add a handicap for players of different experience levels. Apart from a few minor hiccups the controls are accessible, work solidly and competently pull off the few motion-based puzzles included. It's a title that anyone should be able to pick up and play with little difficulty. For those who have a tougher go of it, they can use unlimited time-staggered hints to help locate objects and skip over the majority of the puzzles in adventure mode if they so please. It helps that the art style is so wonderfully executed, an aesthetic that resembles an oil painting in a very good way. Some of the settings are simply gorgeous, and the seek-and-find puzzles are quite easy on the eye as well, with not a single object appearing crudely inserted in. Aurally, there are a few songs that stand out as quite pleasant, while the majority, while adding a mysterious tone and feeling appropriate to the action, are just too repetitive. 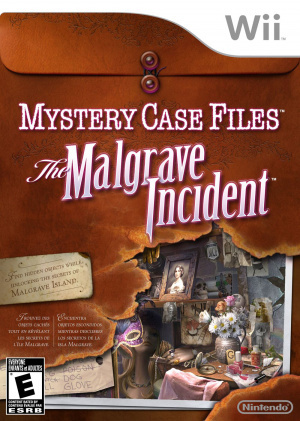 Mystery Case Files: The Malgrave Incident blends a competent but somewhat lacklustre logic-based adventure with excellent and cleverly designed hidden object gameplay, even managing to throw in a solid and somewhat compelling storyline. It's a title that anyone should be able to pick up and have a fun time with, whether alone or with friends or family, though the main mode's focus on repeating old seek-and-find segments as well as some bland puzzles along the way make the things feel, at times, unfortunately dull. 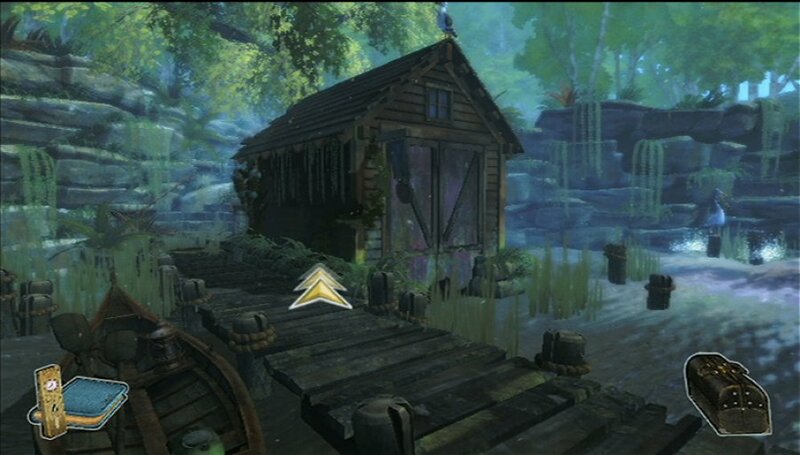 So it's Myst paired with a hidden object game huh ? Seemed interesting from the E3 trailer and taking this review into account i guess i'll get it at a budget price. I read this and I'm still not interested . Looks too simple. I liked the last one that released on the DS (the wife loved it) so I'll eventually be adding this to my collection. Meh. I can get games like this for a buck on the IOS app store. I can't wait to play it, my copy is supposed to arrive on Friday. Wow, Nintendo still doesn't get it. They are releasing a style of game that has been done to death and can be had for $.99 on the app store. This was obviously a much better choice than any of the Japanese three that we can't have here in America. It looks like the 3DS will be my last Nintendo system; the company is just a shadow of itself. It took 6 comments for Operation Rainfall to be brought up. New record? I would much rather see a good legnthy point and click adventure game, rather than a lengthy find-an-object game. From the shots though it does look like a very well presented game. I guess I'll get this one. My birthday is less than a month away and its only 15 bucks on Amazon. In the multiplayer mode, are the item placed in random areas each time or are they in the same place as the story mode? Wow it's actually good? Surprising. I thought Nintendo was just talking it up because they don't have anything else coming out for Wii (will refrain from talking about a certain three games), but it's nice to know that they love us. Also, like bboy said, it's $15 on Amazon. As for me, I have Sam & Max, SBCG4AP, and Puzzle Agent 2 covering all of my point-and-click adventure game needs. ...And Metroid: Other M covering all of my hidden-object--looks up antonym for needs--haves. True that. KEY got a 10. Thanks for reading, everyone. @InvisibleTune, they are all in the same spots, so if you return to the same one repeatedly you'll remember where some are located, but they're designed intricately enough for this not to be too problematic. @Hardy83 & @ryanthehedgehog There are plenty of mediocre seek and finds out there on the cheap, but this is one that does it very well, so don't dismiss it outright. This one looked interesting in the trailers. I will get it as my bro may be interested. He is a huge fan of point and clicks, particularly Myst. Thanks a lot for the info. I had no idea this one was just released and yet so cheap on Amazon. Definitely getting it now. Very Good, and luckily as long as Escape from Ravenhearst on the PC (An astonishing game that's the most disturbing IMO of any and all games out there, however Shiver: Vanishing Hitchhiker comes close) so you can expect around 15 hours or more of gameplay. It's more beautiful than many of the MCF games - even 13th Skull and that game really was stunning. 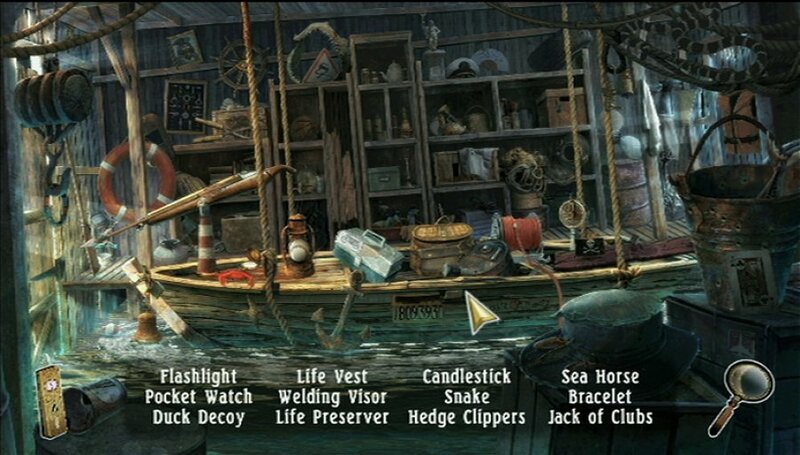 The hidden object scenes though, for whatever reason, aren't as compelling for me as the DS one or the other games in the series. I think it's because you need to lean forward alot and there are many smaller objects but the hint system is fast to recharge which eases the little pain there is. Shame no soundtrack CD was released for this though. There are mp3 files for most of the recent MCF games in their Collector's Edition forms. The story is as you'd expect from the series. It's much more than you'd think and when you think you've worked it out it slaps you in the face with a lemon wrapped around a large gold brick and changes quite drastically. It's a major problem that there isn't a hint system during adventure gameplay though, you need either an amazing brain or a walkthrough.